I'm back with another Valentine Freebie for you all! was another old PTU kit. Thank you so much for this post. 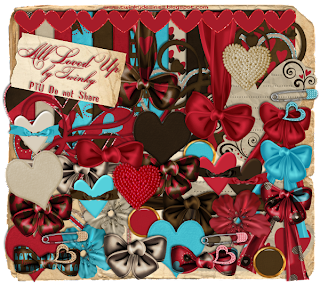 I want to let you know that I posted a link to your blog in CBH Digital Scrapbooking Freebies, under the Page 3 post on Feb. 03, 2011. Thanks again. Thanks for sharing. I love this kit. Thanks for this, great Kit. Is there, by any chance, another way to access this and several of your other "freebie kits" ? Thank you so much for sharing these lovely kits with us.